Last month I mentioned I would be starting a new series, called #ShoeAddict. I also mentioned that this series would be short and sweet, just me showcasing the shoe I'm obsessed with at the moment. 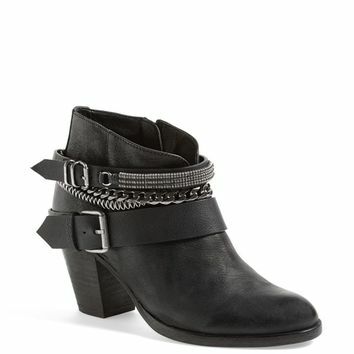 This month I've got my eye on these DV Dolce Vita Yazmina booties. I love them so much, I wouldn't mind them in brown too. The perfect boot for skinny jeans, skirts, and mini dresses. Another boot I'm craving is this Valentino Rockstud, which you probably already seen on my instagram. To see more of my shoe addiction, visit my Pinterest!